The Child-Pugh Score can be useful in the prognosis of patients with cirrhosis, but more recent scores like the MELD score and MELD-Na have become more used given their better prognostic value. For patients with unexpectedly high or low scores, consider comparing the Child-Pugh score with another score like the MELD Score. Child CG, Turcotte JG. Surgery and portal hypertension. In: The liver and portal hypertension. Edited by CG Child. Philadelphia: Saunders 1964:50-64. Pugh RN, Murray-Lyon IM, Dawson JL, Pietroni MC, Williams R (1973). Transection of the oesophagus for bleeding oesophageal varices. The British journal of surgery 60 (8). 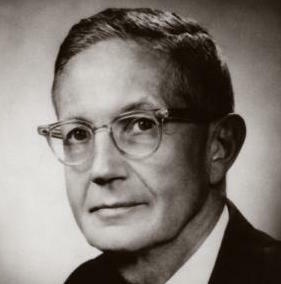 Charles G. Child, MD, (d. 1991), was a professor emeritus of surgery at the University of Michigan and Emory University and was chairman of the department of surgery at University of Michigan. He was a founder of the organ-transplant program at Michigan during his tenure there, and he was editor of the Journal of Surgical Research and chairman of the American Board of Surgery. He was an active researcher in his field, investigating portal hypertension and other hepatic and gastrointestinal diseases. He published numerous studies and was co-author on multiple books.